Opinion Forum » Does Modern Academia Encourage Unthinking Acceptance of Authority? This post is based in large part on an article titled Why Anti-Authoritarians are Diagnosed as Mentally Ill.
Is there a current tendency to consider those who cherish and seek to preserve our rights, including those under the First and Second Amendments, mentally ill for that reason? Interesting for the focused question it poses directly, the article should raise broader but similar questions about the current nature of academia in general. I have had no direct contact with academia since my years in undergraduate school (1959 – 63) and in law school (1963 – 66). “Back in the good old days,” we were encouraged toward independent thought and away from authoritarian notions that discourage it. 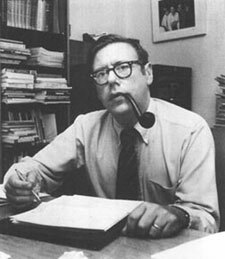 One of my favorite teachers at Yale, John Morton Blum, was an academic and a liberal (not a “librul” as I have come to use the word) in the classical sense. A student of both Theodore and Franklin Roosevelt, he had recently done much research at Hyde Park reviewing FDR’s papers and discussing them with his widow, Eleanor. On the day following her death, he asked whether we would object if, rather than cover his intended subject matter, he extemporized about Mrs. Roosevelt, whom he had got to know quite well. We approved and he did. 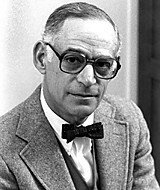 Mr. Blum’s twice weekly lectures on American political history were very popular and were therefore taught in the largest auditorium available. They were attended by several hundred students. We were divided into seminars of fifteen or so taught weekly by post doctoral teaching assistants. The TA who led my seminar, previously a labor organizer, once gave me a bad grade on an essay he had told us to write on “whether slavery was a good preparation for democracy.” A one word response, “no,” would not have served and it was evident that he wanted us to criticize slavery on the ground that it was not; I decided not to do so. Instead, I took and supported the position that it had not been intended for that purpose — much as an automobile, not intended for the purpose, would be an inadequate means of transport across the Atlantic Ocean. There were many valid grounds for criticizing slavery. That slavery did not fulfill a purpose for which it had not been intended was not among them. When I challenged him, he seemed initially hostile but nevertheless rethought the matter and within a day or two gave me a much better grade. I do not know whether he consulted Mr. Blum on what to do, but suspect that he did. Others in various fields also sought to encourage independent thought. Brand Blanshard, for example, taught an undergraduate philosophy course. A rationalist, he “espoused and defended a strong conception of reason during a century when reason came under philosophical attack.” Reason is the antithesis of ideological conformity and of its beloved cousin, political correctness. Mr. Blanshard’s lectures were simultaneously entertaining and designed to encourage us to think independently. He retired at the end of the school year during which I attended his classes and we gave him a standing ovation. Emotionally overwhelmed or joking (I never knew for sure which), he walked off stage into a broom closet (where he remained until after we had left) rather than through the door he had customarily used. My major field of study was economics. Authur Okun, my honors thesis adviser, adhered to the same traditions. He encouraged me to pursue the subject of my paper (impact of the Robinson-Patman Act on the automotive replacement parts market) without preconceptions as to where it should lead and seemed pleased that I had done so. Viewing modern academia, including even public primary and secondary education — only from a distance and mainly by reading — it strikes me that those who encourage the questioning of authority and independent thought may now be exceptions. Zero tolerance policies in primary and secondary schools — which themselves discourage rational thought by teachers and administrators in favor of reliance on overly broad applications of inflexible policies — may be symptoms of this decline. To the extent that their own rational thought processes are discouraged, might they be unlikely to encourage them in their students as well? Do comparable attitudes now prevail generally in other fields of academia? If so, are they recent phenomena or have they been progressing steadily downward for many years? It occurs to me that the now commonly sycophantic “legitimate media” acceptance and regurgitation of (currently) leftist or librul political talking points may have roots pointing downward to the education received by many journalists. (I used the passive word, “received,” rather than the active word, “taken,” purposely.) The recent questioning — even by some in the “legitimate media” — of the Obama Administration Benghazi talking points is a refreshing change. I wonder how long it will last, how far it will go, in what directions with what consequences. Many factors that the linked article suggests plague the study of psychology and psychiatry seem likely to operate broadly as well in the “social sciences” in general. They could provide fields for potentially fascinating research should anyone competent chose to pursue them.